In the 1930s, Canadian companies made C$10 million every year on exporting asbestos alone. That equates to about US $114 million today. No wonder this material was once called “Canadian gold” and “Canada’s magic mineral”. After all, it was cheap, fireproof, insulating, durable, and flexible. These properties led to its wide use, especially in construction and manufacturing. It turned out that the material was more like black magic. In 2004, asbestos-caused 107,000 deaths and over 1.5 million disabilities worldwide. In the U.S., it claims the lives of up to 15,000 people every year. This said, knowing the signs of asbestos poisoning should be at the top of your priority list. Especially since the material isn’t 100% banned in the country. So, be on the lookout for these symptoms of asbestos dangers! Not only will this help you know if it’s time to lawyer up, but it can also save your life. What Makes Asbestos Dangerous in the First Place? Asbestos is a human carcinogen. Health organizations, including the EPA, IARC, and NTP, classify it as a toxic substance. What makes this material even more dangerous is that it’s so easy to get exposed to its poisonous fibers. First, they’re too tiny for the naked eye to see them. They’re also odorless and tasteless, which is why exposure often goes unnoticed. What’s more, asbestos fibers that have already entered the body won’t dissolve. No matter how much time has passed. To make things worse, the body has a hard time getting rid of them. Over time, these trapped fibers in the body can cause swelling and scarring. Give them enough time, and they can lead to irreversible genetic cell damage. As if that’s not enough, the illnesses they cause can take 20 to 50 years to develop! No wonder the U.S. sees 3,000 new cases of mesothelioma alone every year. That number doesn’t even include new cases of asbestosis or asbestos-related cancers. Symptoms of asbestos poisoning are similar to those of many other conditions. That’s why it pays to know how asbestos exposure can occur. This way, you’ll have a better idea if you’ve been somewhere that increased your exposure risk. First, know that most asbestos-related conditions develop through exposure at the workplace. That’s right. Occupational exposure is the leading cause of life-threatening conditions caused by asbestos. This can happen when asbestos-containing products get disturbed. When this happens, their fibers mix with the air, which people can then inhale. People who become ill from asbestos are often those exposed to the material on a regular basis. These include workers in the asbestos mining and milling industry. Construction and building workers are also at great risk of asbestos exposure. Second-hand exposure is the second-leading cause of asbestos-related diseases. This can happen to people living in environments where asbestos is present. Such environments include older homes that may still contain asbestos materials. Again, there is no complete ban on asbestos in the country as of the moment. This means there are still many products that can contain this dangerous material. The regular use of these items can also increase your risk of exposure. Keep in mind that there is no safe amount when it comes to asbestos exposure. Even the smallest amount of inhaled or ingested fibers is already dangerous. However, the dangers increase with more and longer exposure to the material. This said, make sure you seek medical help as soon as you notice the following asbestos symptoms. Between 1970 and 2014, asbestosis claimed an estimated 38,437 lives. The ship and boat building industry saw the greatest number of victims. As for occupation, the highest number of deaths occurred among insulation workers. So, what is this deadly condition that can signal asbestos poisoning? It’s a type of lung disease caused by the scarring left by asbestos fibers in the lungs. This damage makes it difficult for you to breathe. It also makes it hard for oxygen to get into your bloodstream. Medical professionals also refer to it as interstitial pneumonitis. You may have heard of it as pulmonary fibrosis. The most common symptom of asbestosis is shortness of breath. This is often accompanied by tightness in the chest, as well as a dry cough that never seems to go away. If you feel chest pain along with these signs, take it as a symptom of asbestosis. Asbestos poisoning in the form of asbestosis can also lead to loss of appetite. Nail deformities and enlargement of the fingertips also signal asbestosis. More than half a million Americans have had a lung cancer diagnosis. Experts estimate that this year there will be over a quarter million new diagnoses. Most people know that smoking is the leading cause of this type of cancer. After all, it’s the culprit behind 80% to 90% of lung cancer deaths. What many are unaware of is that asbestos exposure is also a primary cause of lung cancer. Exposure to asbestos contributes to about 4% of lung cancer diagnoses. Asbestos lung cancer signs are almost the same as those of asbestosis. But there are some other symptoms, such as coughing up blood and wheezing. Face or neck inflammation and chronic respiratory infections are also common symptoms. Mesothelium is the tissue lining various organs, like the lungs, stomach, and heart. Mesothelioma is a tumor that develops in this tissue. Most of these tumors develop in the lungs, but they can also affect other organs first, such as the stomach. Some mesothelium tumors are benign or non-cancerous. But many are malignant or cancerous. The cancerous form, although rare, is aggressive and severe. Asbestos exposure is the main cause of mesothelioma. More than 20 million Americans are at risk because of exposure to this toxic material. Those at the greatest risk of mesothelioma are people often exposed to asbestos. These include individuals with jobs involving the handling of asbestos materials. If you live in a house with asbestos-containing materials, you’re also at great risk. The same goes true if you use a lot of products with asbestos in them. Breathing difficulty is one of the most common asbestos-caused mesothelioma symptoms. Another telling sign is pain under your rib cage and abdomen. These symptoms are often accompanied by lumps in and swelling of the abdomen. As you can see, mesothelioma and lung cancer share many similar symptoms. The only way to distinguish the two is through biopsy and imaging tests. That’s why it’s important to seek medical help as soon as you notice these signs. Pleura is the thin membrane lining the chest wall’s interior side and the lungs’ surface. Pleural effusion occurs when fluid penetrates the space between pleural layers. This can then lead to a variety of symptoms, especially if there’s a lot of fluid. But some people with pleural effusion don’t experience symptoms. That’s because the condition often exhibits itself only when there’s considerable fluid build-up. If you do experience symptoms, the first one you’ll notice is shortness of breath. You may also feel pain in your chest when you take deep breaths. These signs often come with fever and cough too. There are many things that can cause pleural effusion, including pneumonia. But asbestos exposure (and the cancer it causes) can also lead to this fluid build-up. Asbestos exposure can lead to the hardening and thickening of the pleural lining. Medical professionals refer to this occurrence as pleural plaques. They may or may not appear together with pleural effusion. In most cases, pleural plaques don’t have any symptoms. But some people with it may experience pain during breathing. Some have also reported a grating sensation that causes discomfort when breathing. Not all pleural plaques signal a possible development of asbestos-related cancer. But the fact remains that asbestos exposure is almost always the cause of these plaques. That should be enough to concern you. If you experience any of these signs of asbestos exposure, seek medical help right away. Proper diagnosis is the only way to determine if they’re asbestos-related. Once your doctor has determined asbestos exposure is the culprit, it’s possible to file a lawsuit. You can file a claim for asbestos exposure on your own. But to boost your case’s success rate, it’s best to team up with a personal injury lawyer. These claims are unique and complex. First is because of the length of time asbestos-related illnesses take to develop. Again, most asbestos-related symptoms don’t show up until after 20 to 50 years of exposure. Second, it’s often difficult to prove when and where exposure took place. Third, there’s a statute of limitations surrounding asbestos personal injuries. Your life is – and will be – hard enough dealing with the effects of asbestos exposure. 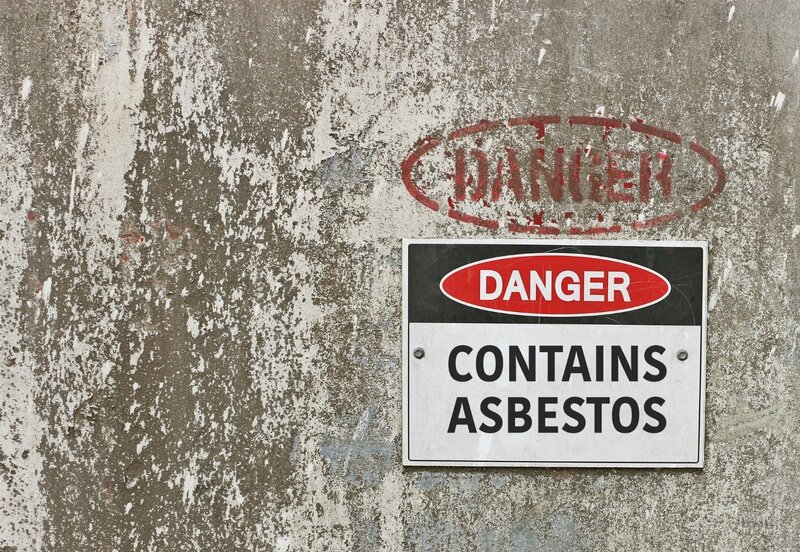 A personal injury lawyer well-versed and experienced in asbestos cases can help. Signs of asbestos poisoning are painful, debilitating, and life-threatening. But you don’t have to suffer in silence, nor do you have to shoulder all medical expenses on your own. Let us help you build a strong case for your asbestos-caused illness. Connect with us ASAP so we can review your case for free and proceed from there.